►Conference Commissioner Joe Bertagna, whose contract was extended through 2019-20, announced that when Notre Dame leaves for the Big Ten, Hockey East will stay at 11 teams for the foreseeable future. In 2017-18, all eleven teams will make the conference playoffs with the top five earning a first-round bye. 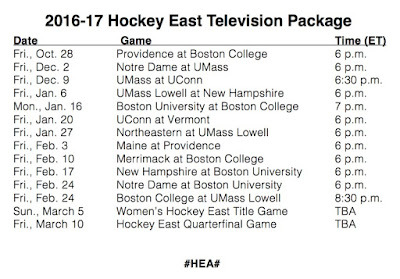 ►Hockey East also announced a 14-game NESN/ASN TV schedule, which will include three BU games: Jan. 16 at BC; Feb. 17 hosting New Hampshire; and Feb. 24 hosting Notre Dame. The last two games are 6 p.m. starts. 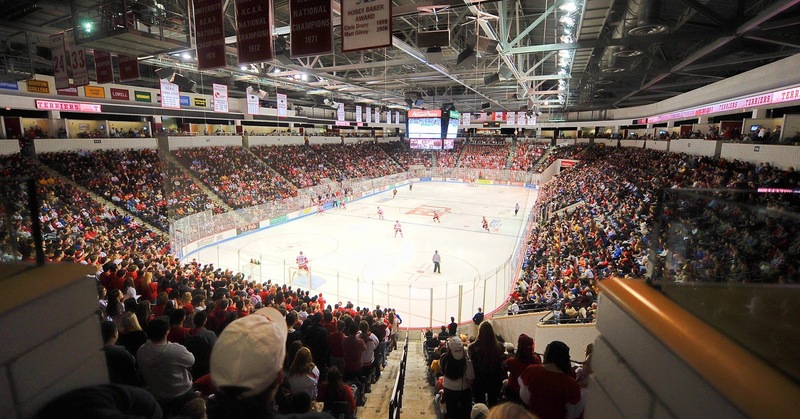 BU Athletic Director Drew Marrochello announced a new partnership with Campus Insiders to live-stream 32 men's and women's ice hockey home games. The high-definition broadcasts will be available online worldwide, free of charge and will be accessible as archives as well. All 17 women's home games and 15 men's home games will be live-streamed on the Campus Insiders network, which also streams many other BU varsity sports through the Patriot League partnership. 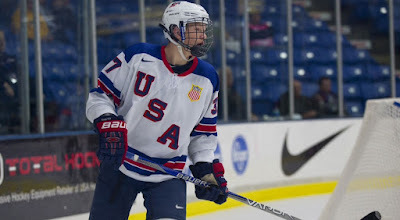 USHL.com featured 2017 recruit Brady Tkachuk's first-period power-play goal in Saturday's 5-3 win against Youngstown. Former Terrier Ken Rausch has been promoted to Director of Youth Hockey at USA Hockey. A forward--and emergency defenseman--on BU's 1995 national championship team, Rausch joined the USA Hockey staff in 2009. After playing on three Terrier Frozen Four squads, he joined Jack Parker's coaching staff and later was an assistant at Lowell, Babson and Niagara. Matt Lane, who signed an AHL contract with Sabres' affiliate Rochester, talked with his hometown newspaper about his first pro training camp. 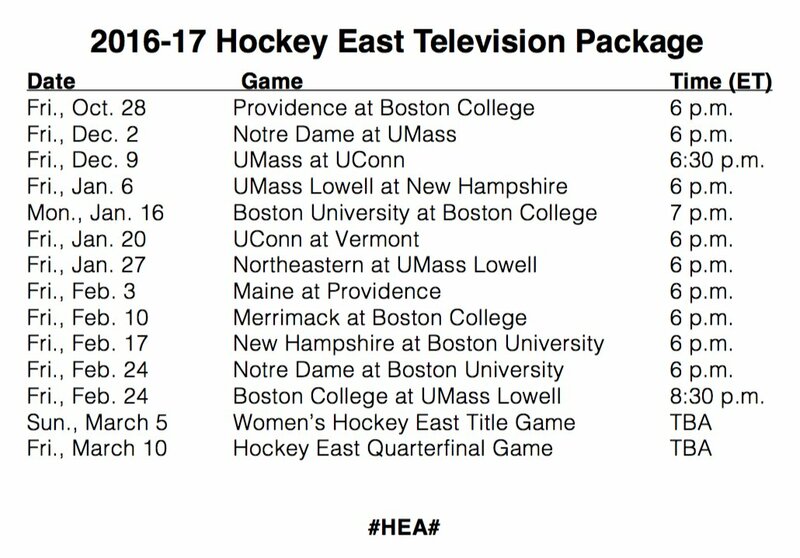 Hockey East announced that BU will host the 2017 Hockey East Championship Weekend. The semifinals and title game will be played at Walter Brown Arena on March 4 & 5. BU last hosted championship weekend in 2011. 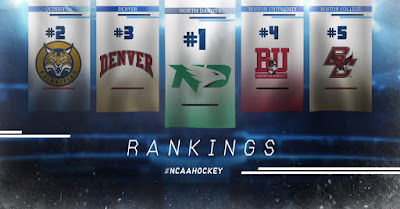 Terriers have been ranked at #4 in the pre-season USCHO D-1 College Hockey Poll, leading a group of six Hockey East teams among the poll’s top 15. BU received five first-place votes, second only to top-ranked and defending national champion North Dakota, which garnered 43. Two first-semester out-of-conference opponents, Quinnipiac and Denver, were ranked #2 and #3 respectively. 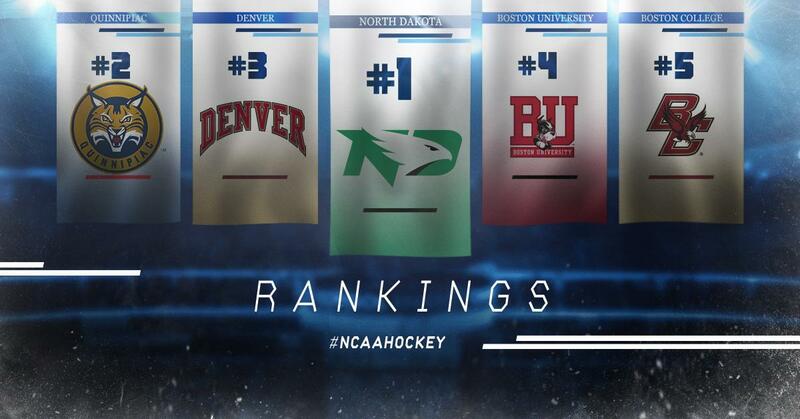 The other ranked Hockey East schools are: BC #5; Lowell #8; Notre Dame #9, Providence #10 and Northeastern #15. Three other schools on the Terriers' out-of-conference schedule made the top 20: Michigan #11; Harvard:12; and Yale #18. 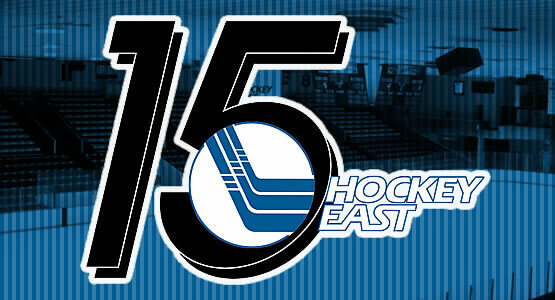 ► Hockey East Media Day takes place tomorrow at TD Garden. THFB will post links to news announcements as well to comments from BU coaches and players. The Buffalo News reports that Evan Rodrigues worked with a power-skating instructor and a shooting coach during the off-season as he prepared for Sabres’ training camp. After a slow start last season at AHL Rochester, he produced 30 points, earning a late season call-up and picked up his first NHL goal and assist. 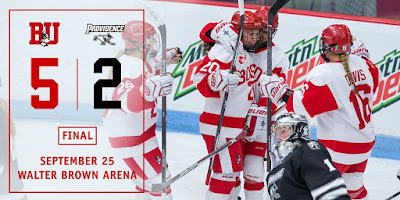 Senior Samantha Sutherland’s hat trick powered the #10-ranked Terriers to a 5-2 win over Providence in their regular-season opener Sunday at Agganis Arena. BU carried a 2-1 lead into the final period and scored three times to salt away the win. Graduate student Mary Parker, who starred at Harvard for three seasons, got BU on the board first, converting a pass from junior Victoria Bach, and Sutherland doubled the lead late in the period with assists to sophomore Sammy Davis and freshman Abby Cook. 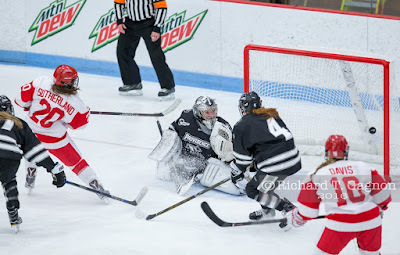 The Friars narrowed the gap to one goal early in the second, but Sutherland responded with a power-play goal from Davis and junior transfer from Minnesota Nina Rodgers. In the third period, PC scored early again, but a late power-play goal by senior Maddie Elia and Sutherland’s empty-netter closed out the scoring. Senior goalie Victoria Hanson turned aside 34 of 36 shots to earn the win. 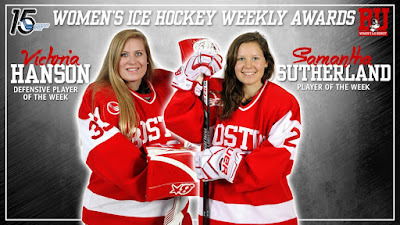 For their efforts against Providence, Sutherland was named Hockey East Player of the Week, while Hanson was named Defensive Player of the Week. Cook earned a spot on the weekly top performers list after picking up her first collegiate point. 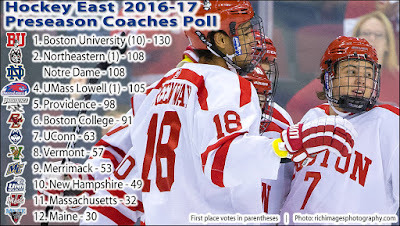 In the pre-season Hockey East Media Poll, Terriers received 22 out of 26 first-place votes and 301 points overall to claim the top spot. Sophomore defenseman Charlie McAvoy was named a first-team all-star. 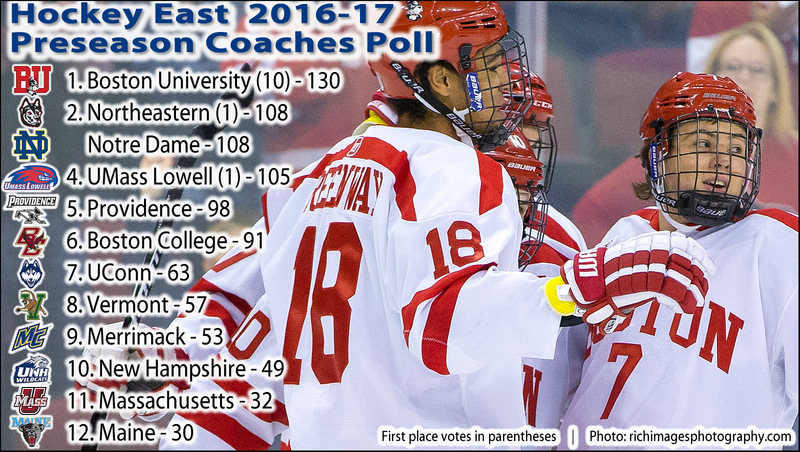 Results of the Coaches' Poll will be announced this Tuesday during Hockey East’s Media Day at TD Garden. 2017 recruit Brady Tkachuk (photo) scored his second goal of the season in the NTDP U18s' 5-3 win against Youngstown in their season opener. The 6’2”, 194 lb. power forward from St. Louis is tied for the team scoring lead with six points. Fellow recruit Logan Cockerill, who scored a goal in Thursday’s All-American Prospects Game, added an assist for the U18s. 2018 recruit Matthew Quercia scored a shootout goal in the Sioux Falls Stampede’s 3-2 win over Tri-City. Last season, Quercia put up 50 points in 38 regular season games for the New Hampshire Junior Monarchs, adding seven more in nine playoff games. Senior Maddie Elia’s hat trick and a pair of goals by sophomore Sammy Davis powered BU past the Whitby Wolves in a 6-0 exhibition game win at Walter Brown Arena. Elia, who also had an assist, was sent in alone on goal by Rebecca Leslie to open the scoring just 90 seconds into the game. Elia and Davis would add power play goals for a 3-0 lead after one. Davis added her second power-play goal in the second period, deflecting home a Savanah Newton shot. 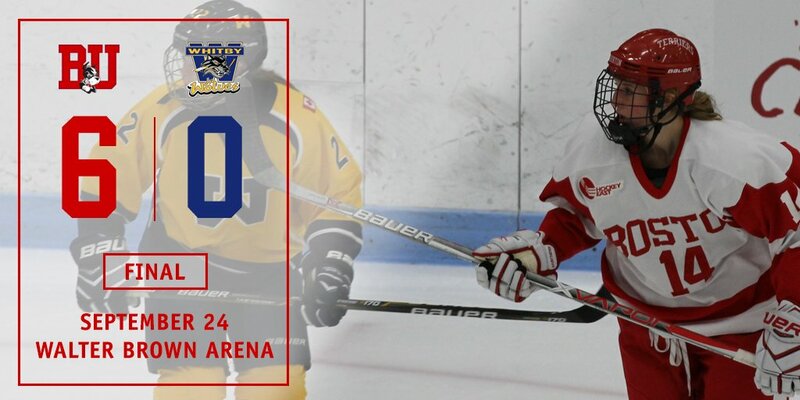 Third period goals by Leslie and Elia closed out the scoring. 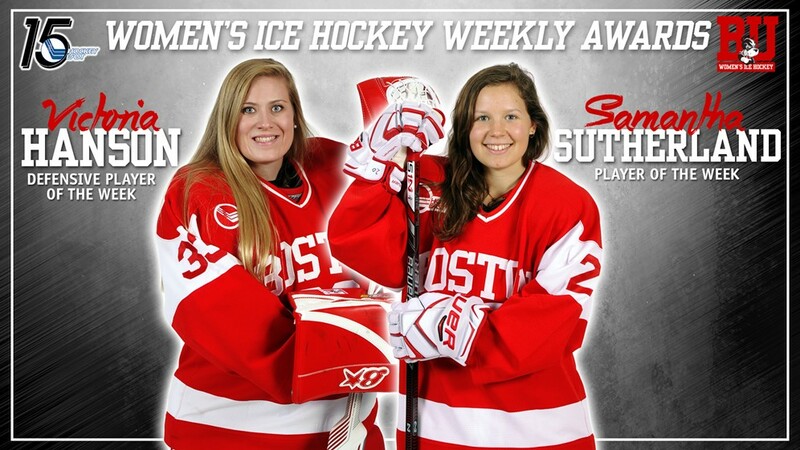 Three BU goalies, Victoria Hanson, Ashlyn Aiello and Erin O’Neil combined for the shutout. Terriers are back on the WBA ice today to open the regular-season with a match-up against former Terrier Bob Deraney’s Providence Friars. Puck drop is at 3 p.m. and the game will be broadcast for free live on Terrier TV.